Benny, Banksy and Boydie, AKA the BasketBall Blokes, here for your Round 14 NBL Fantasy guide. Another hat-trick of fantasy scores in triple figures for Round 13, with Bogut (114), Conger (106) and Trimble (100) getting the job done for their fantasy coaches out there! Bogut was the only captain choice for last week worth mentioning in our article and the Bogeyman saluted the BasketBall Blokes thankfully! Conger’s score was a bit out of nowhere with him only averaging under 24 per game in his 3 games before last weekend. These players have received major price rises after round thirteen. Conger represents great value this week, with the injury news of Ramone Moore. Shawn Long will also be a highly targeted trade option this week as well. These players have had the biggest price drops for the round. DJ was a disappointment for owners last week, but with some friendly matchups this week I am tipping him to bounce back. Although not shown below, both Wiley and Kay also shed a $100k, with Wiley the worry after falling back in the rotation at Adelaide, playing just 19 and 17 minutes in his last two games off the bench behind Froling. With Round 14 upon us your team should be almost set for the run home and hopefully a push into the top 10, 20, 50, 100 etc, and of course ready for finals in your leagues. The biggest question this week is do you take a HUGE risk and trade out Bogut – as Sydney have a single – and bring in 2 other premiums thanks to Bogut’s massive price? I am not sure I would be doing this if you are sitting in the top 20 currently, but if you want to risk it for the biscuit and maybe get lucky with Bogut having a quiet game, while hoping your trade ins dominate, then it could be an option for you! The other big question after last weekend’s 106, is if Conger is safe to bring in to ride along with Adelaide’s doubles this round and next. Does Ramone Moore’s injury leave guaranteed minutes for Conger now too? If you are taking schedule into consideration for your trades this week, New Zealand players are surely at the top of your list. Long and Wesley are the top options if you have the cash and the position spots available for them, whilst Cotton and Kay are other options as Perth start a run of doubles. 5. Daniel Johnson – Has Perth first up who he has played once this season already where he put up a 58. He then heads over to Sydney where he has matched up well against Bogut earlier in the season with scores of 64, 77 and 34. 4. Melo Trimble – Melo’s history against this weeks opponents may say otherwise, but his current form is undeniable. 53 and 21 in his two earlier games against Brisbane and 25 and 47 in his two matchups against New Zealand, but after witnessing him put up a big 100 fantasy points last round in a dominant display, riding Melo while he is hot is definitely an option. 3. Tai Wesley – The grown man has some friendly matchups this week. He will play Illawarra first where he has already posted a 53, before heading over to Cairns. He has battled the Taipans twice this season for scores of 41 and 60, and was ever so close to taking out our second spot this week. 2. Nick Kay – As Perth hit a run of doubles, Kay matches up against two opponents he has gone big on earlier in the season. A 50 against Adelaide and a 62 and 63 against United. Kay loves to play these two teams, and we should see much of the same again. 1. 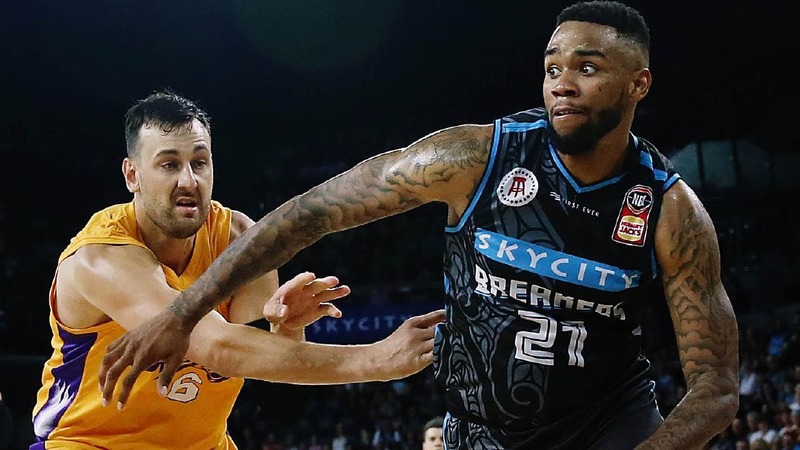 Shawn Long – Coming off a 5 game average of 58 and a 3 game average of 64, Long is the most in form fantasy player in the competition behind Bogut, and if you ask him he is the best big man in the league – but that’s another story. Long has a couple of great matchups this week. He previously put up 74 fps in his sole matchup against the Hawks this season, and with their lack of big men, there is no one to stop him here. Long will then go up against an in form Jawai. With scores of 43 and 70 already this season, the big man struggles to match Long’s athleticsm. The Breakers are running through Long on the offensive end right now which has seen him score 81 actual points over his last three games. Add to this, his new found ability to stay out of foul trouble, and being a double double theat every game, Long is a safe bet this week with a massive ceiling. Four teams on the double this week – Adelaide, Cairns, New Zealand and Perth. All have a double the following round as well, so it can’t hurt to be targeting players on any of these teams.